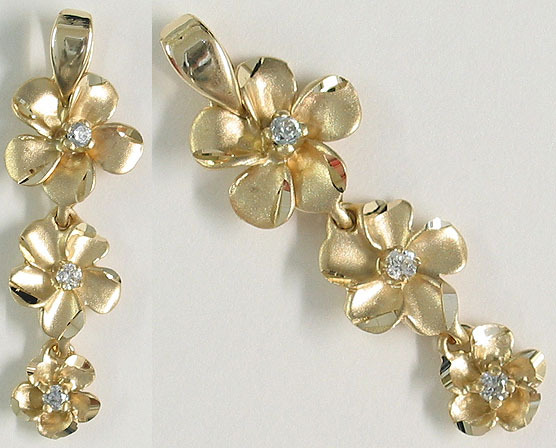 Solid 14k Gold Triple plumeria Hawaiian Pendant with Satin Finish. Made in Hawaii. Comes in your choice of yellow, white, pink, or tri-color (each flower a different color) gold.